As the third round beckons, all top ten seeds in the men’s draw are still in. It’s actually been a great start to the men’s tournament with plenty of exciting matches. I enjoyed watching the highlights of Rafael Nadal against Tim Smyczek, the latter showing tremendous sportsmanship in the final game of the match. AO is a killer to follow, but I’d love to see some of Bernard Tomic’s match with Phillipp Kohlschreiber, which I read was high quality. If the seedings hold up, the second week could be pretty special. Fantasy Tennis Updates: tenniz-fan leads the way in the Moo’s Tennis Blog league on Racquet Rally. In the TFF DreamTeam game, Grand Slammers leads the way with the Moomonds just one point behind! Viktor Troicki has made a pretty awesome start to 2015. After missing a year from the tour for failing to provide a blood sample in Monte-Carlo in 2013, Troicki made a solid comeback in July last year where he reached the quarter-finals in Gstaad. Troicki dipped into the Challenger circuit where he won two events, but also enjoyed success on the ATP tour as he made a seamless transition back into competitive action with a quarter-final showing in Shenzhen and a semi-final showing in Vienna (and successfully qualifying for both events too). Troicki has hit the ground running this year with 12 match wins and a second ATP title in Sydney, coming through as a qualifier. After defeating the number 26 seed, Leonardo Mayer in the second round of the Australian Open, Troicki gets a shot at Tomas Berdych in the third round. Newly engaged, Berdych has come through his first two matches in Melbourne in straight sets against Alejandro Falla and Jurgen Melzer. 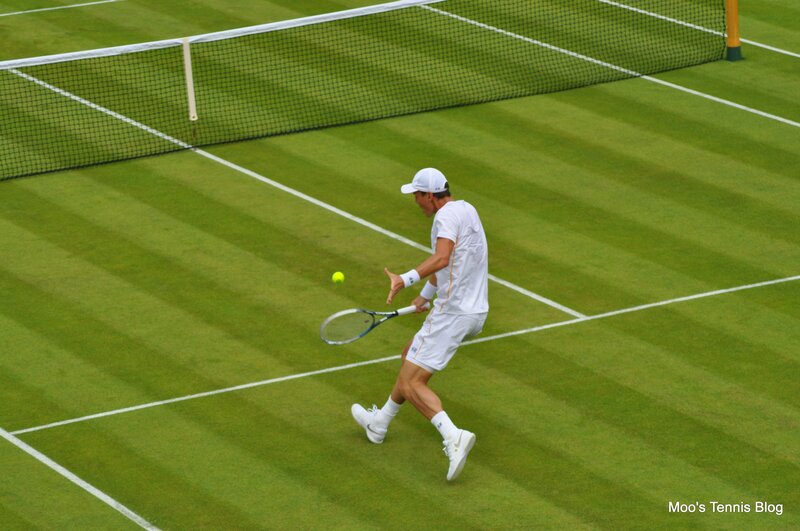 Berdych and Troicki have played six times on the tour with Berdych winning five of them. Their most recent encounter came in Beijing where Berdych won, 6-3 6-4. Troicki will be tired, but also super confident after racking up so many wins. Berdych had ideal preparation for Melbourne with five matches in Doha before losing in the final to David Ferrer. I’d take Berdych with his experience of getting the job done in best of five set matches, but I do believe Troicki will make this a very tough match. Grigor Dimitrov‘s dangerous draw has opened up a little with the number 20 seed, David Goffin losing on Wednesday. However, Marcos Baghdatis won’t be an easy opponent in the third round. The Cypriot, who reached the Australian Open final in 2006, has worked his way back up the rankings and will likely go top 70 after this week. Baghdatis played a lot of Challenger events in 2014 and had much success, winning four events. He’s a fun player to watch and this should be an entertaining match for the spectators. 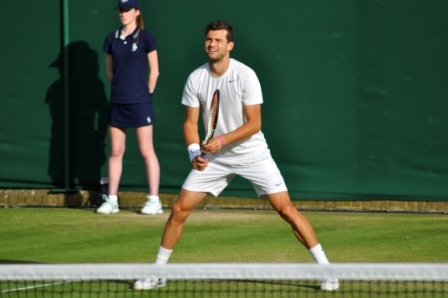 Dimitrov is one of the best shotmakers on tour and despite a quick match with Dustin Brown in the first round, there were still plenty of highlights (see HERE). Dimitrov and Baghdatis have played six times before (i’m surprised it’s so many) with Dimitrov winning five of those matches. Their last match came in Acapulco in 2014 with Dimitrov winning comfortably, 6-1 6-4. Dimitrov for the win in this one, but I think Baggy will get a set. January 22, 2015 in Anderson, ATP, Australian Open, Baghdatis, Berdych, Dimitrov, Gasquet, Troicki. Nadal had the flu yesterday and that caused him much troubles…we’ll see if he has recover from it! No way Anderson beating Gaquet. Monfil was a disappointment and Caro went back to old ways.